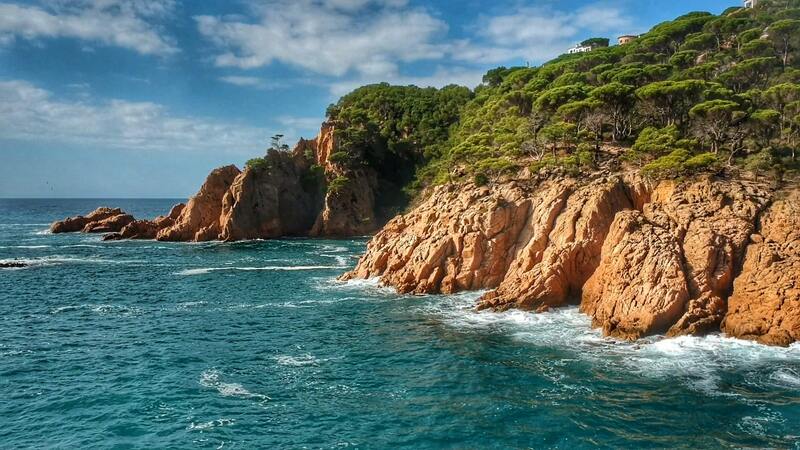 Walk a breathtaking part of the Costa Brava. 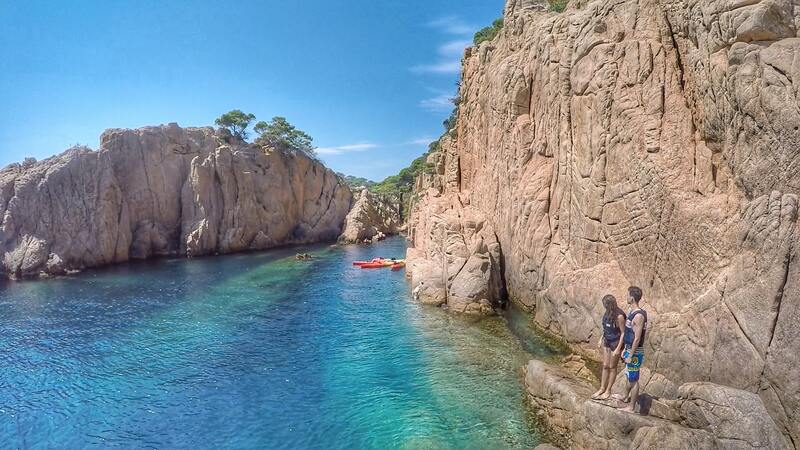 Kayak between rocks and anchor in a secluded bay to enjoy cliff jumping into the crystal clear Mediterranean sea. 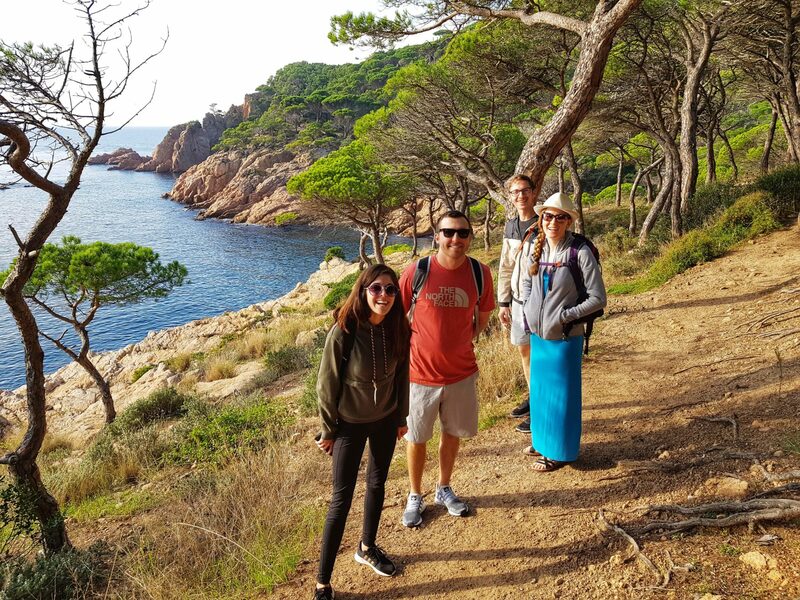 We will pick you up at 8:30 am centrally in front of the Hard Rock Cafe in Barcelona. 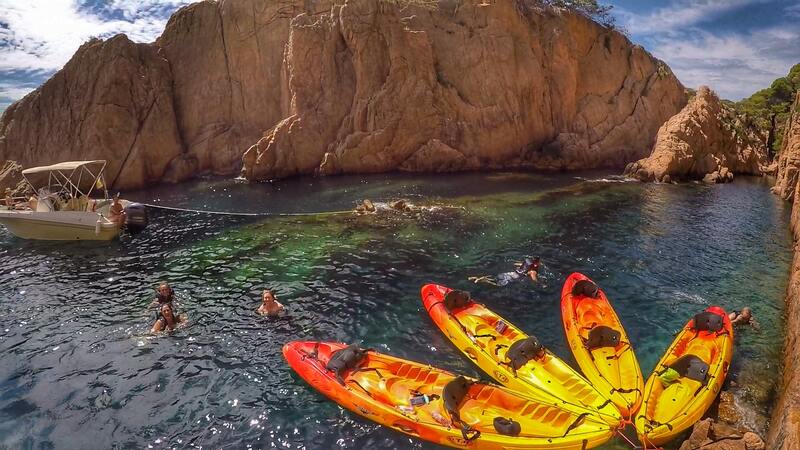 We will head north to a wonderful village, Sant Feliu de Guixols in the Costa Brava on our small group kayaking tour. 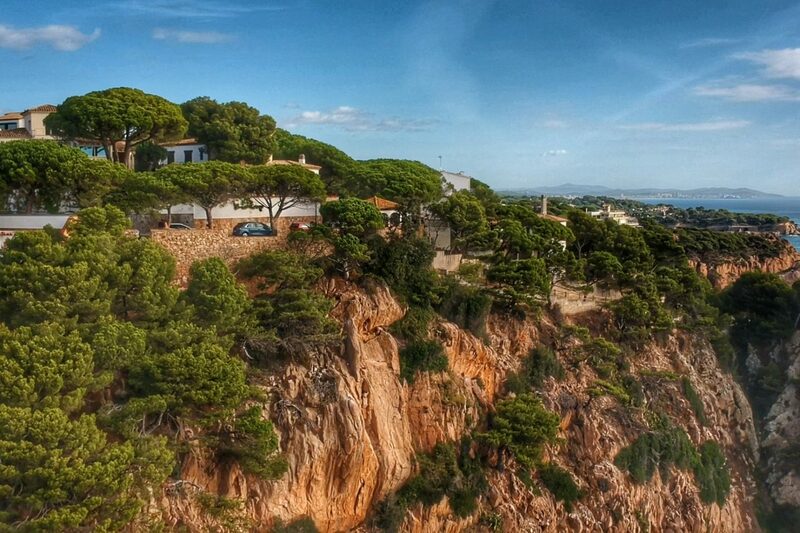 The ‘El Camino de Ronda‘ is a famous coastal path, which runs along the entire coastline of the Costa Brava, starting in Blanes and finishing at the border with France. 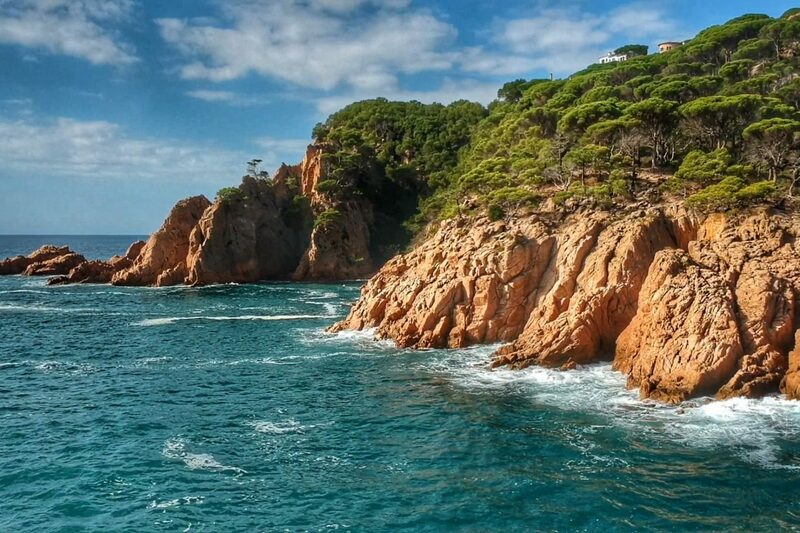 The rocky coastline and the Mediterranean sea around Sant Feliu de Guíxols offer amazing views and numerous hidden coves with unusual rock formations. 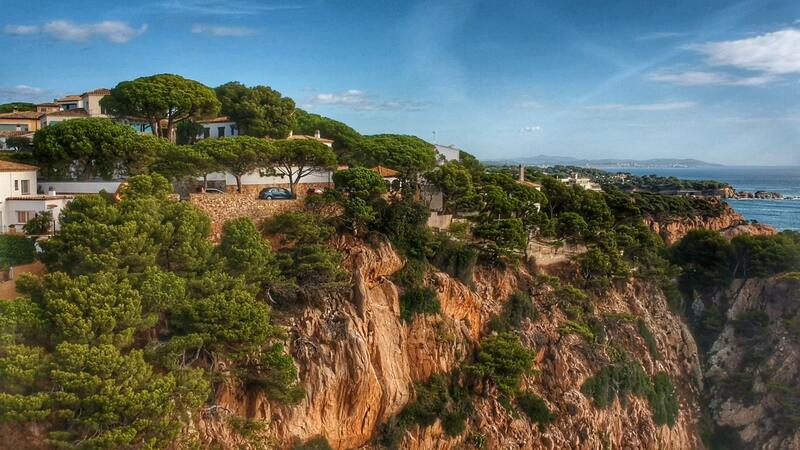 We will walk a short part of this beautiful coastal path together until we reach the beach in Sant Pol de S’Agaró. 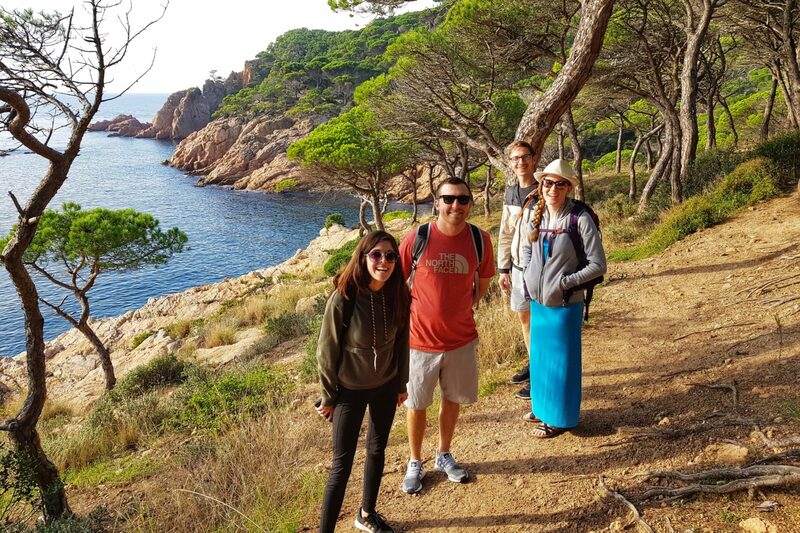 The entire walking experience will take around 1 hour and we will be well rewarded with delightful sea views at every step. 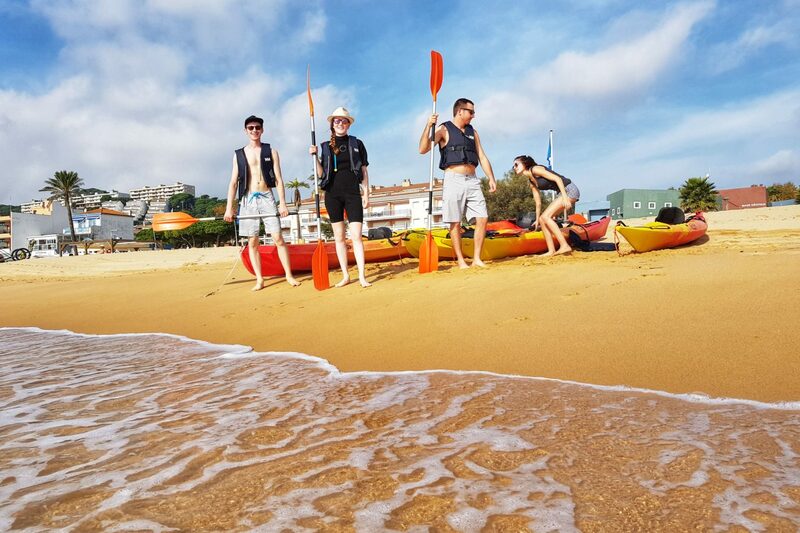 Once we have arrived at the beach in Sant Pol de S’Agaró, we will depart on another exciting coastal exploration, but this time we will be using sea kayaks and paddles. 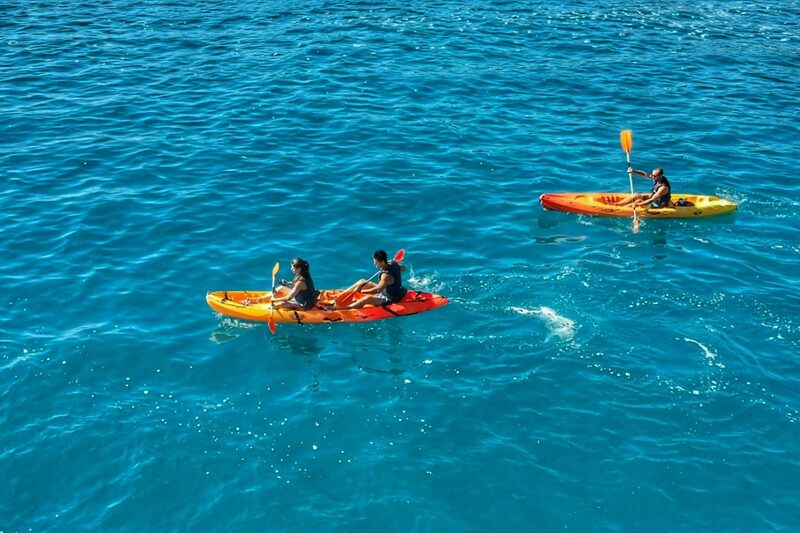 After a short intro to kayaking and funky warm-up exercises, we hop on the kayaks and start our kayaking experience. 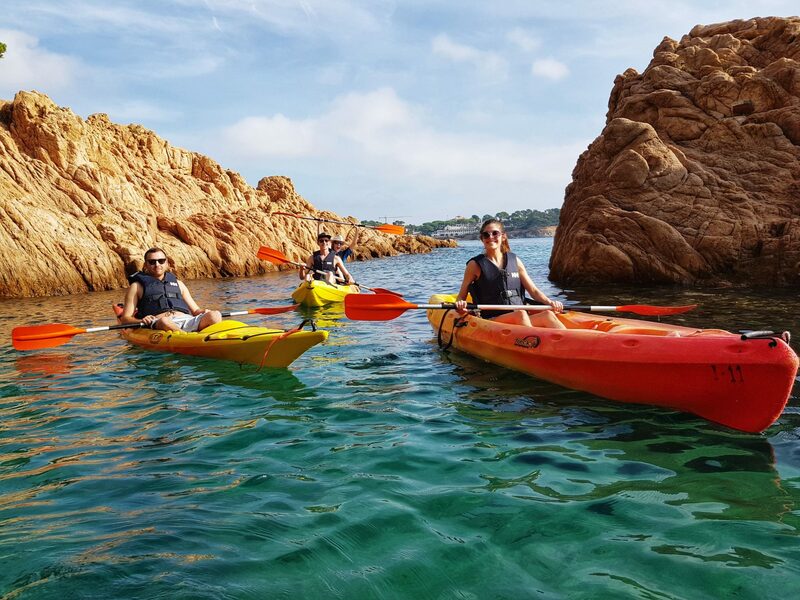 The sea kayaks will allow us to gently propel along the amazing coastal cliffs and rock formations while enjoying the marine ecosystems. 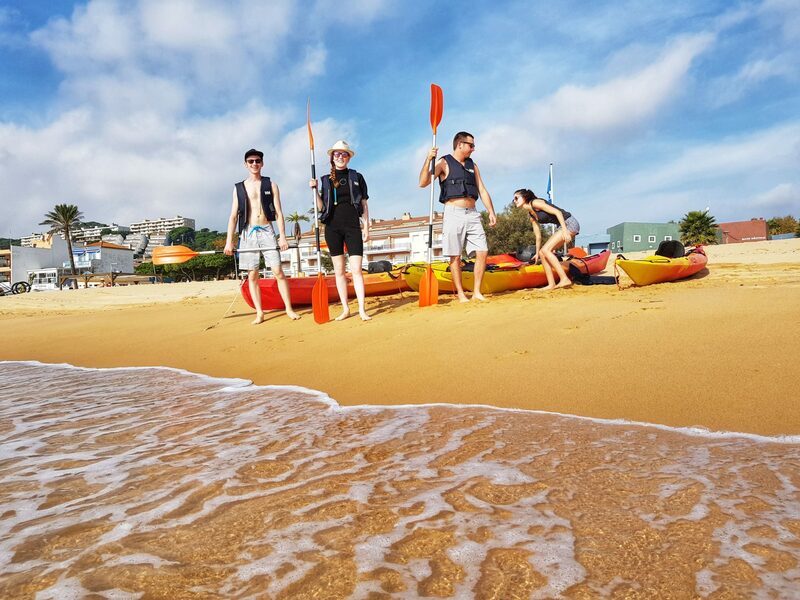 The sea kayaking tour will take an hour and a half and is perfectly suitable for all participants without any previous kayaking experience. 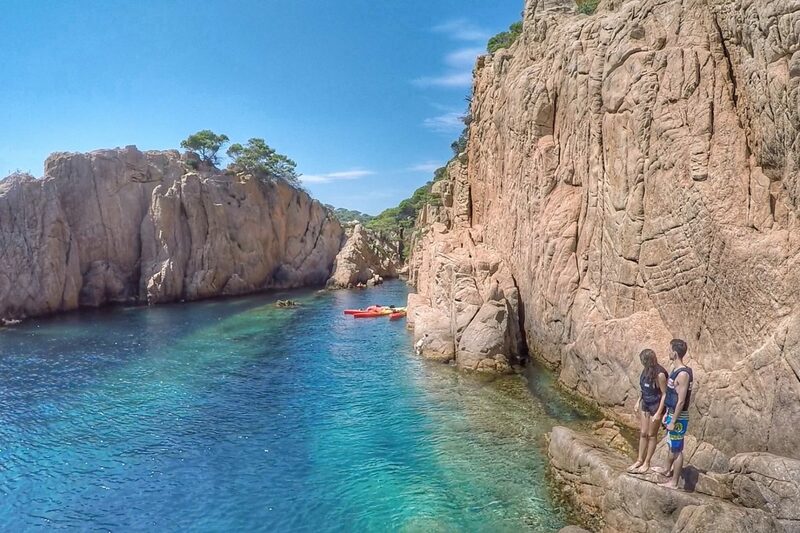 Once we reach a suitable cove we will anchor the kayaks and take a break to snorkel or simply jump into the crystal clear lagoons of the Mediterranean sea. 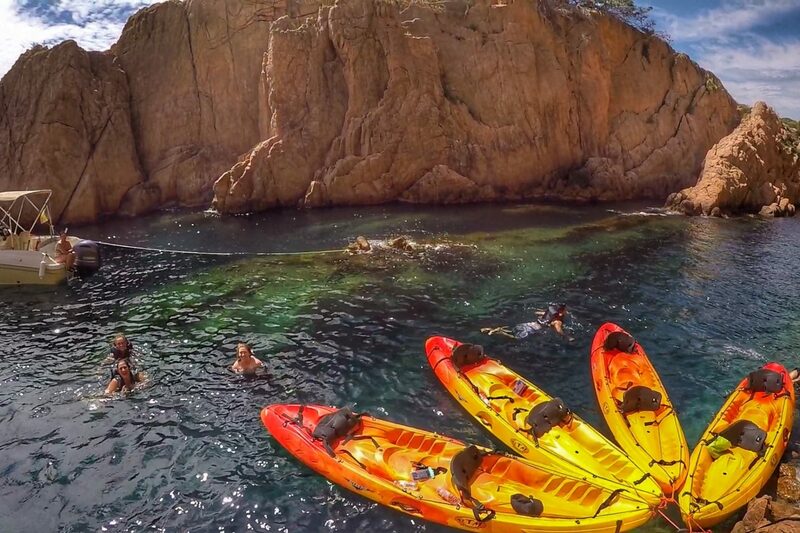 We will also share some delicious seasonal fruit while soaking in the sun rays. 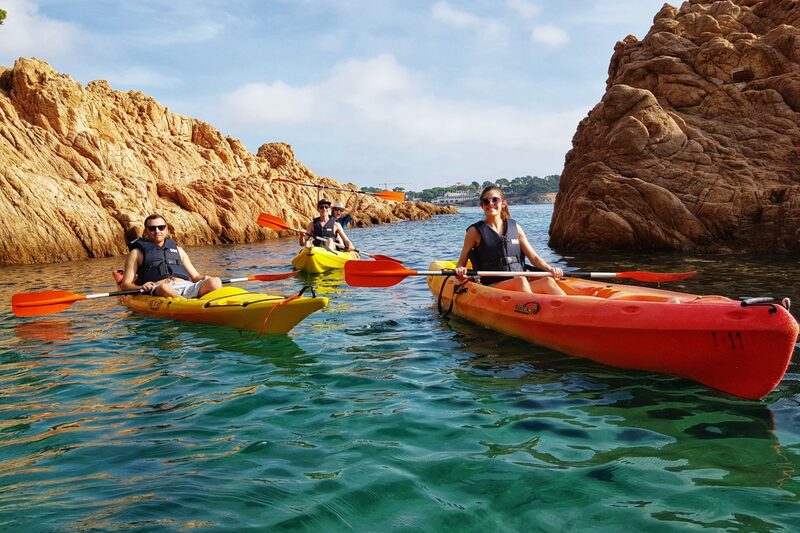 The coastal landscape characterized by pine trees overhanging the steep cliffs and sandy beaches with crystal clear water truly makes this small group kayaking tour a memorable experience. 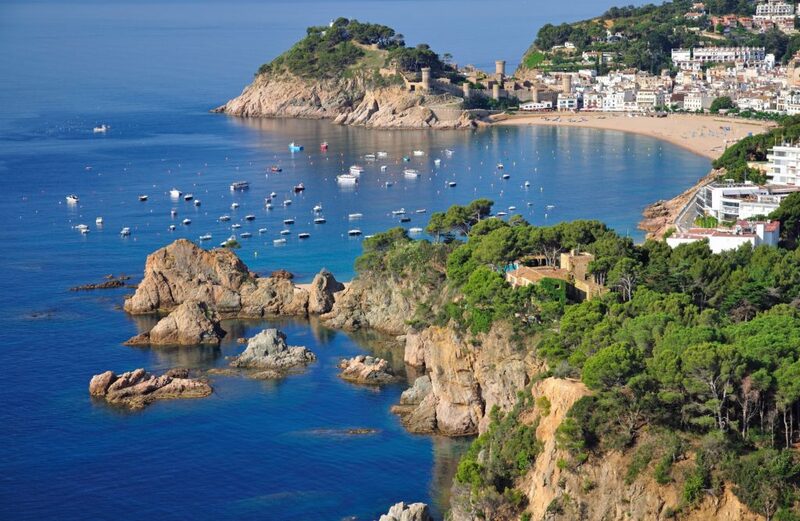 Spending a full day on the coast in the Costa Brava is a perfect opportunity to taste the famous seafood dish called – paella. 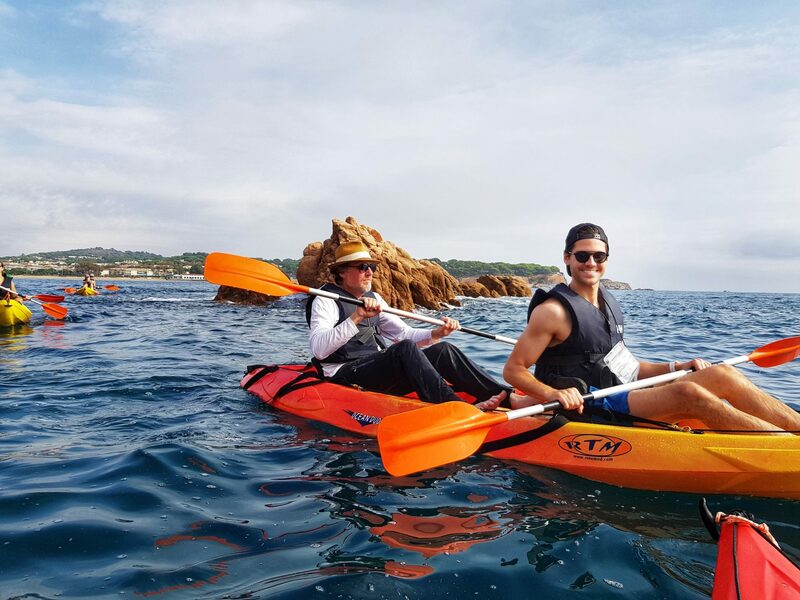 We will recommend the best restaurants for you to enjoy this traditional dish in your free time after our special kayaking tour. 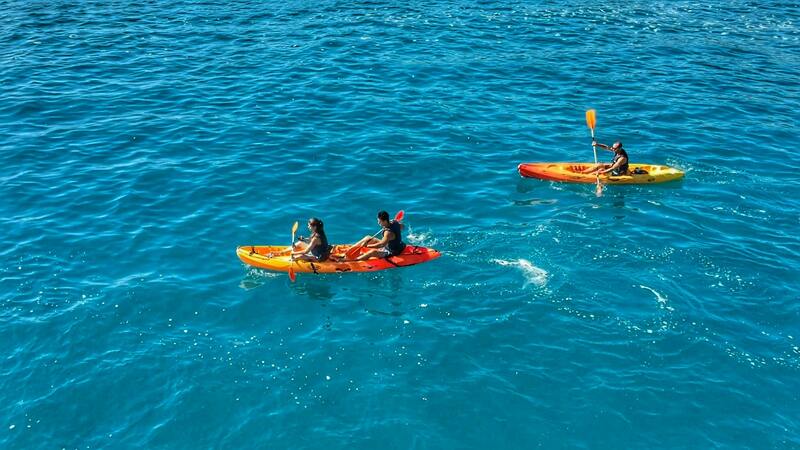 There will also be enough time to sunbathe, relax on the beach or take a swim in the crystal clear waters. 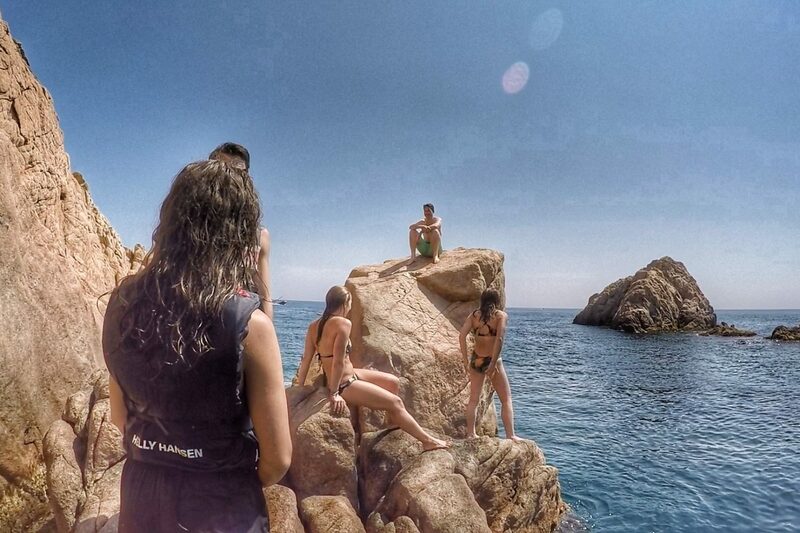 After you have fully enjoyed the marvelous mix of walking, swimming, kayaking, and cliff jumping in the Costa Brava, we will return to our starting point so that you can continue enjoying your holidays in Barcelona. 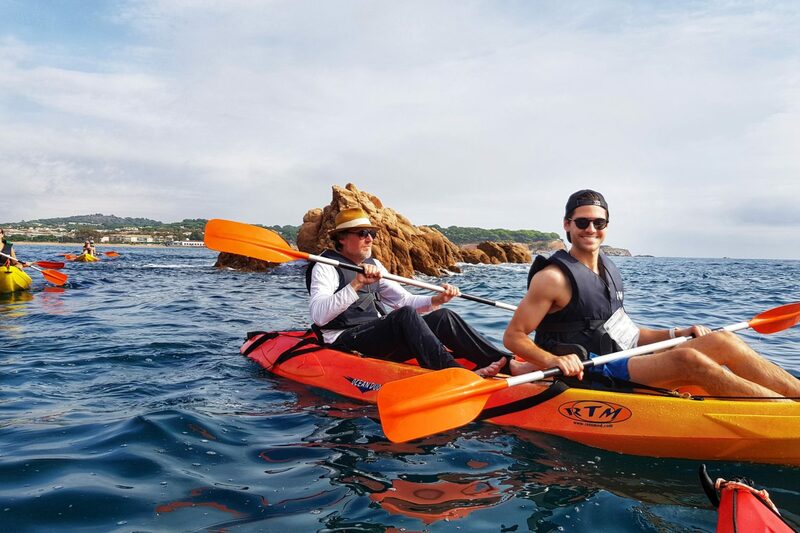 Copyright 2019 WORLD ADVENTOUR BCN, All Rights Reserved.